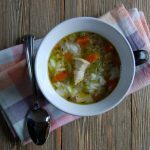 Homemade soup in less than 40 minutes! This was my favorite soup growing up. It always made me feel better on a cold blustery day! Meanwhile, heat olive oil in a large pot over medium heat. Add onions, carrots and celery; sauté veggies for 2-3 minutes. Add minced garlic, parsley, thyme, rosemary, sage, salt and pepper, stir to combine. Pour in chicken broth. Add chicken breasts, bay leaf and butter; bring to a boil reduce heat to simmer for 20 minutes. Remove chicken from the pot and shred or cut into cubes. Return chicken to the pot, and cook for an additional 10 minutes. 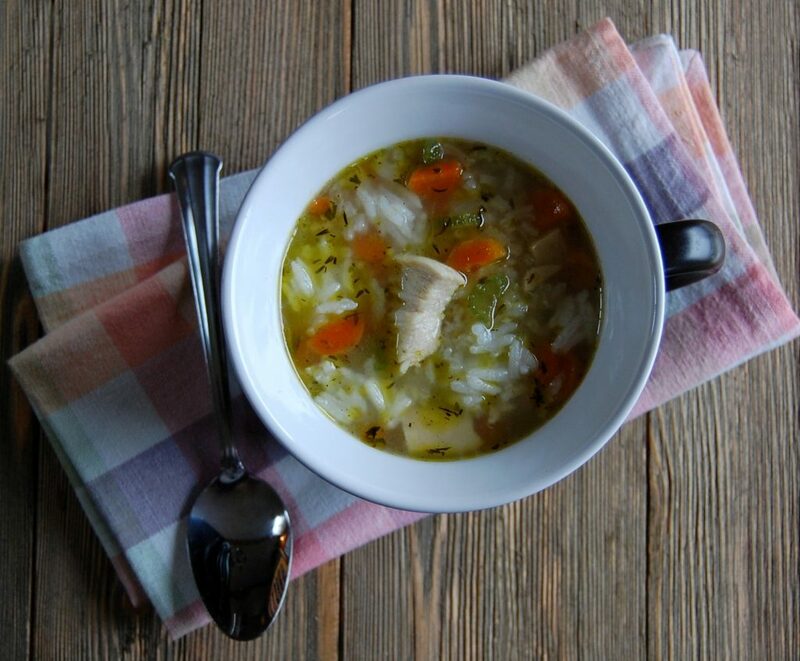 Scoop rice into bowls, ladle soup over rice and enjoy! Serve with buttered crackers or crusty French bread. Cook’s Note: Alternately, you could cook the rice with the soup, but I prefer to cook it separately, so it doesn’t get too mushy, it’s entirely up to you.